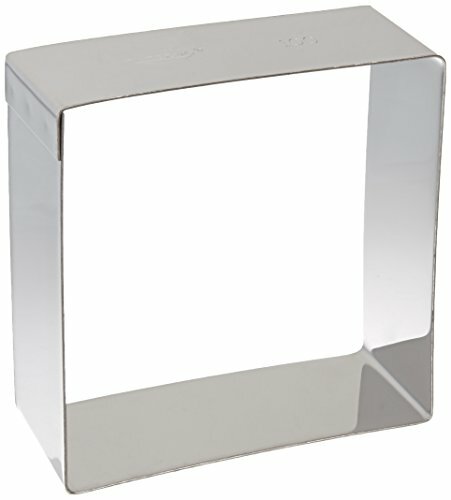 The Paderno World Cuisine stainless steel 4" square pastry ring is unique and creates dishes sure to impress. It can be used for a wide variety of purposes. Pastry rings, also referred to as tart rings, are most commonly used for baking tarts as the majority of the dough is exposed to the heat of the oven and quickly becomes crispy. These rings can also be used to create flan, the well-know Spanish dessert. In addition, they can create layered mousse dishes, sponge cakes, genoise or even vegetable dishes. The smooth, rigid sides of this ring offer support for packaging, pouring and pressing.